How can I create a purchase order? 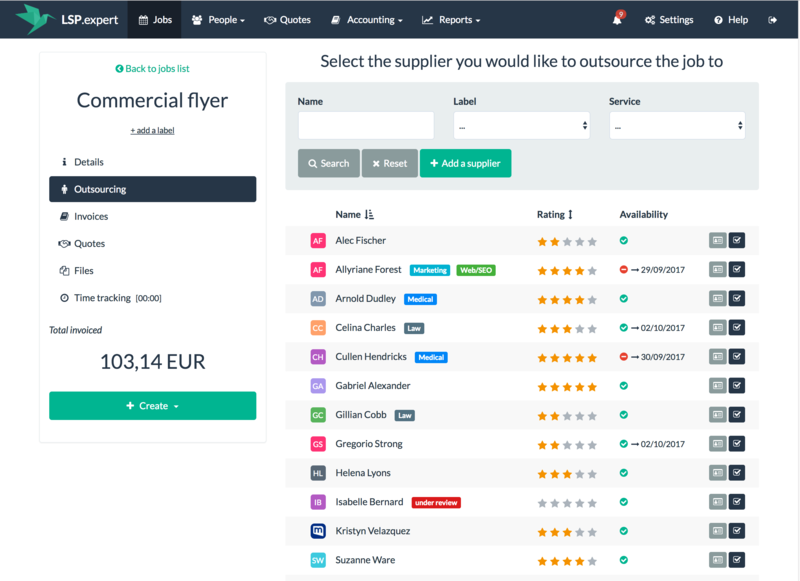 Once a job has been assigned to a supplier, you can create a PO in just a click. To create a purchase order, the first thing you have to do is to assign a job to a supplier. For that, you have to click in the job on the 'Outsourcing' tab (in the menu on the left). Then, you choose the supplier in the list and you click on the 'V' icon on the right. You then arrive in the details of the outsourcing for this job. 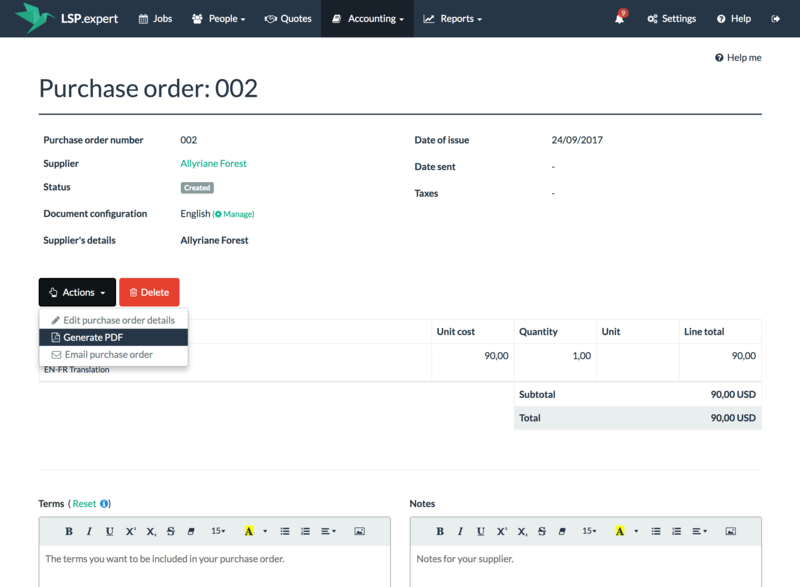 To create a purchase order for the supplier, click on 'Create' > 'A purchase order'. The PO has now been created. The 'Actions' button allows you to edit the details of the PO, generate a PDF document and send the PO per email. You can decide on the format of the purchase order number. The system will try to increment it at the next purchase order. To change the status of the PO, simply click on it. 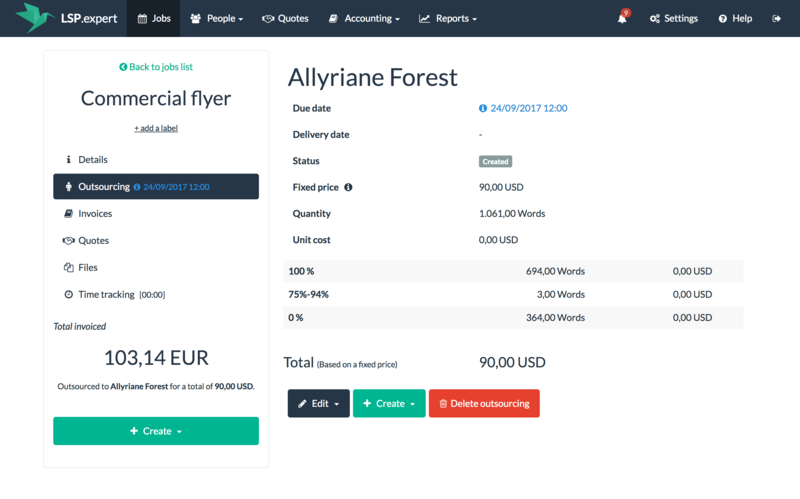 In the Document configuration field, you can set the language in which you communicate with the supplier (documents and emails). Your language is not in the list? You can add it in 'Settings' > 'Document and email configuration'. The default language specified is the one you defined at the supplier level. 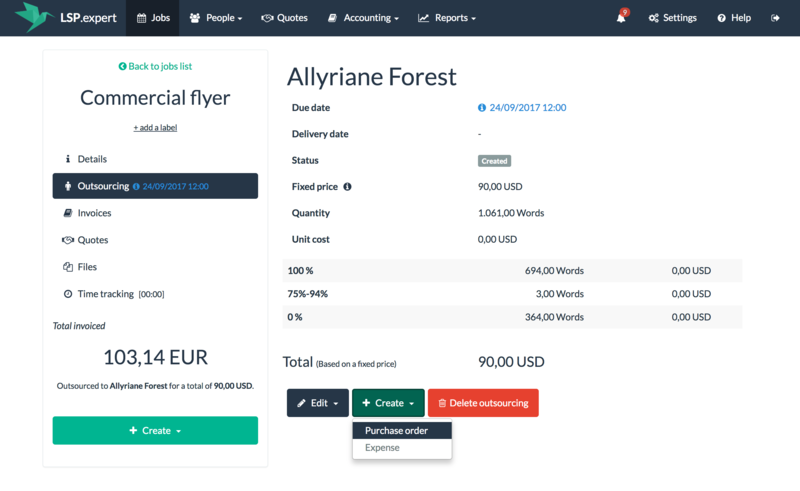 To create a PDF of the PO and email it to the supplier (if you use LSP.expert to send your purchase orders), use the 'Actions' button.